Photo courtesy of the Dackelmuseum in Passau, Germany. Are you a dog lover looking for a little more culture in your life? Well, you’re in luck! There are museums around the country — and across the Atlantic — entirely devoted to our furry friends. If your travel plans take you to any one of the cities below, make time to visit these fun and informative places. 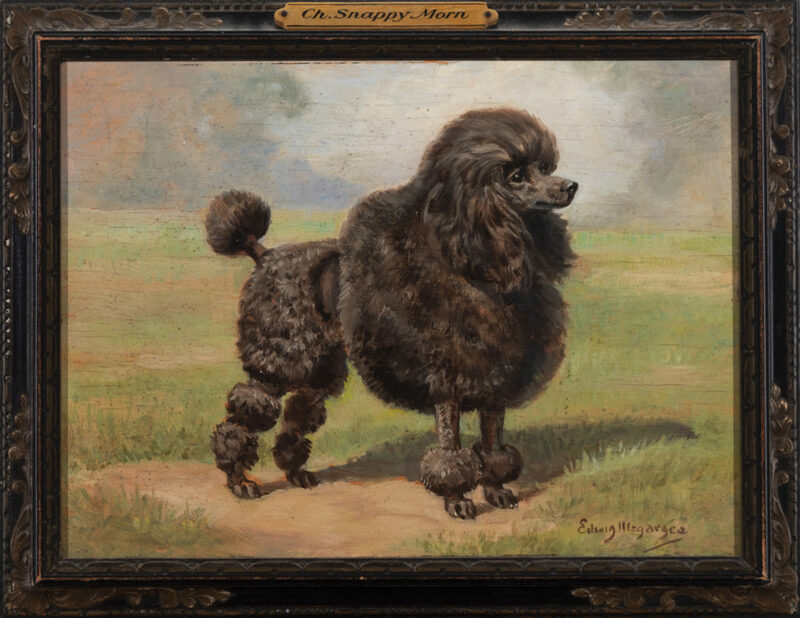 This 1945 painting by Edwin Megargee is part of an extensive collection at AKC’s Museum of the Dog. Visitors will discover more than 180 pieces of canine-inspired artwork plus interactive digital exhibits spread out across two floors and three stories. Equally enjoyable is the museum’s book collection, which features a selection of tomes from the AKC library, one of the largest libraries devoted to dogs in the world. Dedicated to “the preservation and perpetuation of bird dog, field trial, and hunting traditions,” this museum showcases pointer and retrieving breeds, as well as hunting sports and field trial activities. It houses art, memorabilia, photography, and sculptures. In 2004, the museum added the Retriever Field Trial Hall of Fame. Located within Iditarod headquarters, the log cabin museum features displays about the history of the Iditarod, a sled dog race covering 1,000 miles of rough terrain, along with photos, videos, and trophies. You may even get a chance to meet some sled dogs. The Knik Museum, along with the Iditarod Trail, includes the Sled Dog Musher’s Hall of Fame. 9/11 Memorial & Museum, New York City, N.Y. Through the fall of 2019, a temporary exhibit titled “Dogs of 9/11” will be on display at the 9/11 Memorial & Museum. The art installation honors the courageous canines that assisted in the rescue and recovery efforts at Ground Zero following the 2001 terrorist attacks. Photo courtesy of the Dackelmuseum. Dachshund lovers, this is for you. 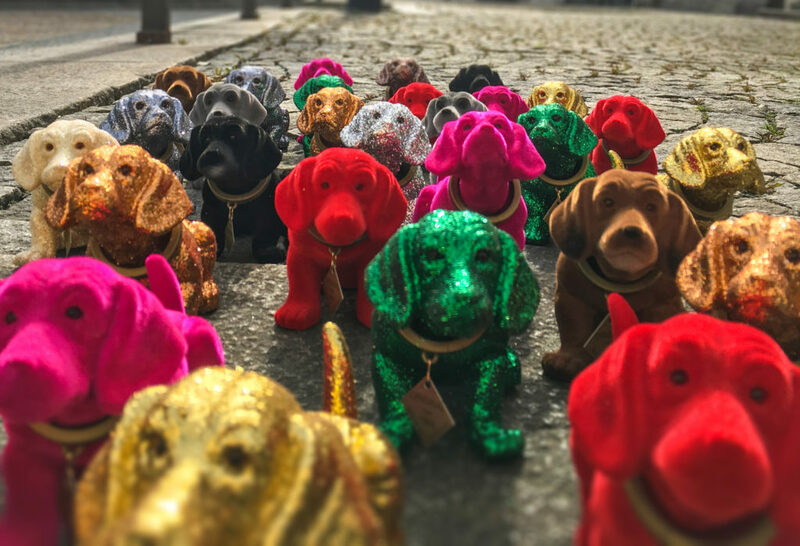 The Dachshund Museum, located in the Kleine Residenz (Little Residence), houses more than 4,500 Dachshund-related collectibles, memorabilia, and art celebrating this spectacular breed. The founders, Seppi Kublbeck and Oliver Storz, have been collecting all things Dachshund for the last 25 years and are now sharing their treasures with the world. The museum opened when Gertrude Hunt presented the Leeds Castle Foundation with a dog collar collection in memory of her husband, historian John Hunt. The museum now features more than 130 collars, dating from the 15th-to-the-20th century. If you’re wondering what’s so special about dog collars, some of these might pique your interest: 16th-century German, spiked iron collars; a Spanish iron Mastiff collar that would have protected the dog from wolves and bears; 19th-century chased-silver collars; and some very creative 20th-century collars. It only fits that the Saint Bernard be honored in this town, located in the Pennine Alps at the Great Saint Bernard Pass. The museum houses exhibits featuring the breed in art, culture, and literature. Even better, visitors can meet and greet real Saint Bernards at the Barry Foundation kennels on the first floor.